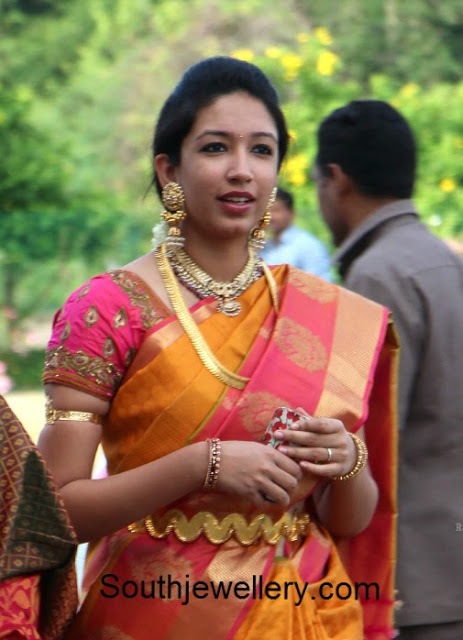 Celebrity in latest gold vaddanam, kasula peru, heavy earrings and armlet. 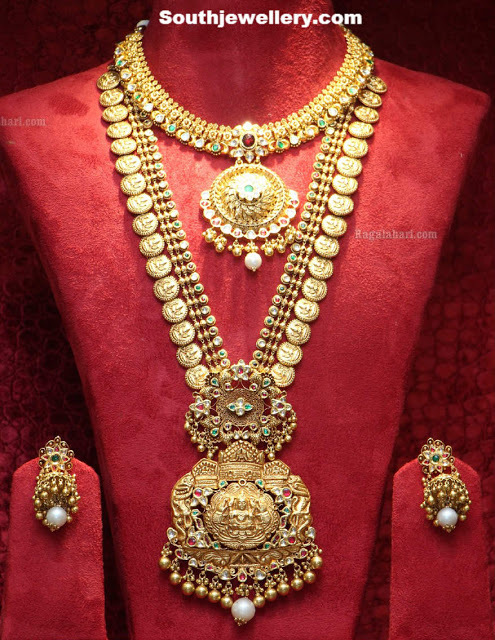 Beautiful Lakshmi kasula peru studded with rubies and gold balls haram studded with emeralds by Hiya Jewellers, Hyderabad. 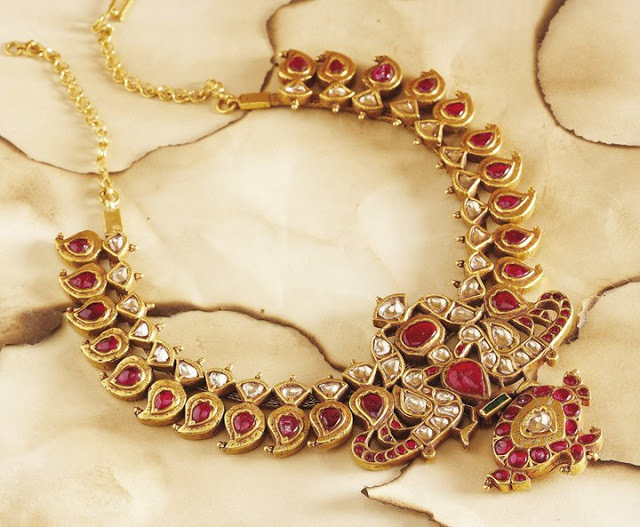 Short and simple kasu necklace and kasu haram with pendant studded with rubies and emeralds, teamed up with matching jhumkas. 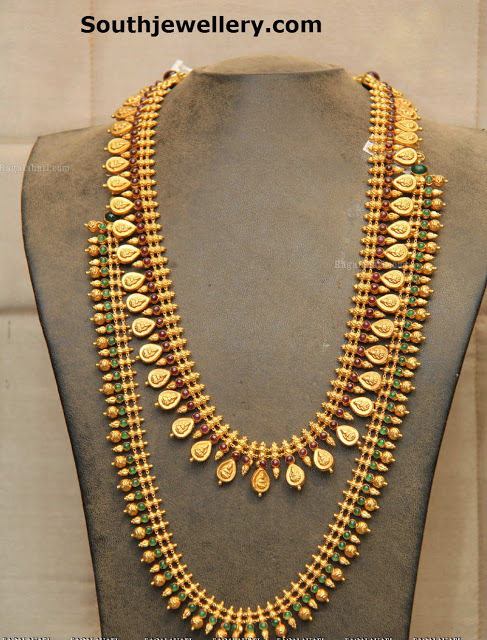 Short necklace with pendnat studded with emeralds and kundans; Lakshmi kasula peru with pendant studded with rubies and emeralds, paired up with matching small jhumkas. 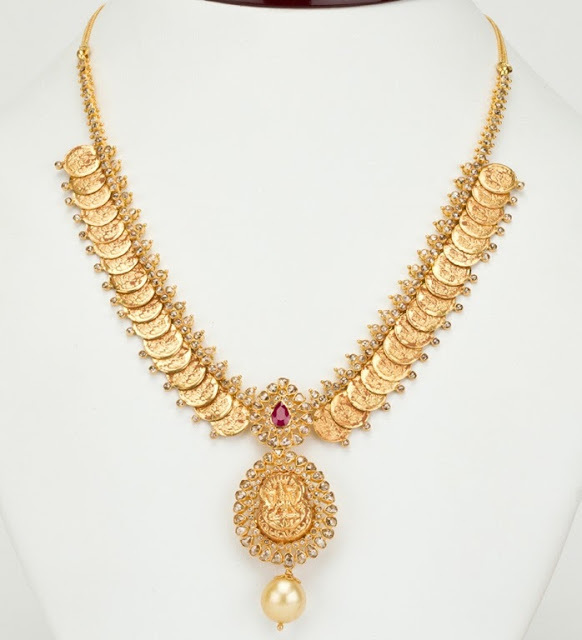 Lakshmi Kasulaperu with lakshmi pendant, studded with uncut diamonds and ruby. 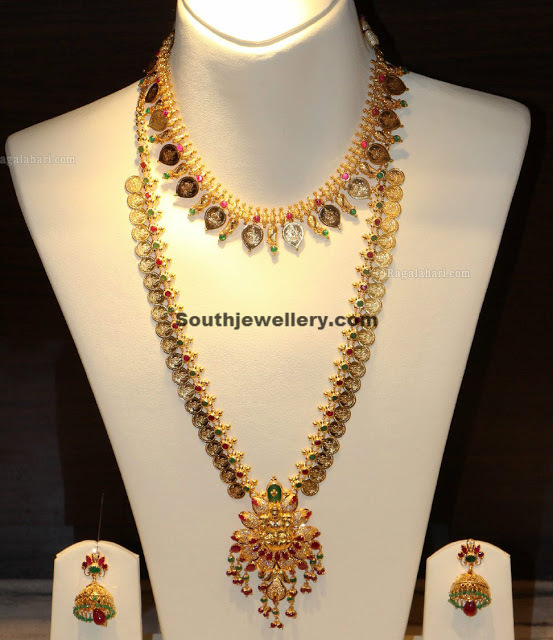 Model showcasing temple jewellery, gold heavy necklace, kasu mala with lakshmi pendant, gold jhumkas, armlet and tikka. 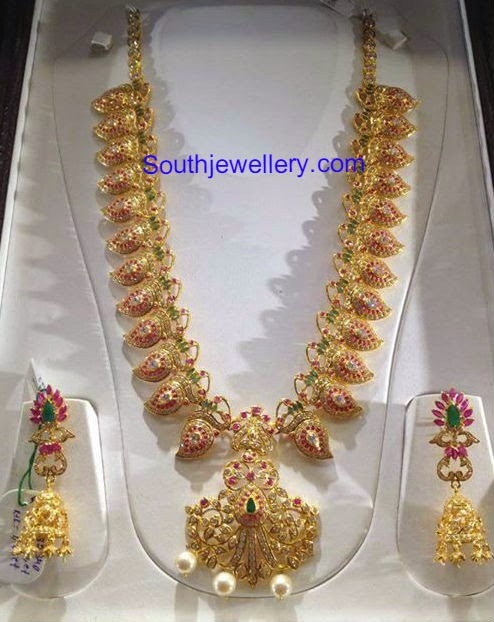 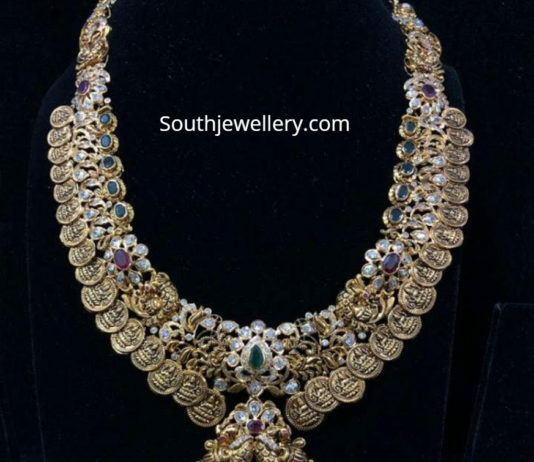 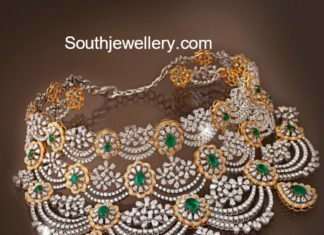 18 carat gold choker studded with diamonds and emeralds.